While you shouldn't take this app seriously, it could amuse your cat for hours and maybe make you rich. No guarantee of either happening though! ...you just let your cat catch the mouse. 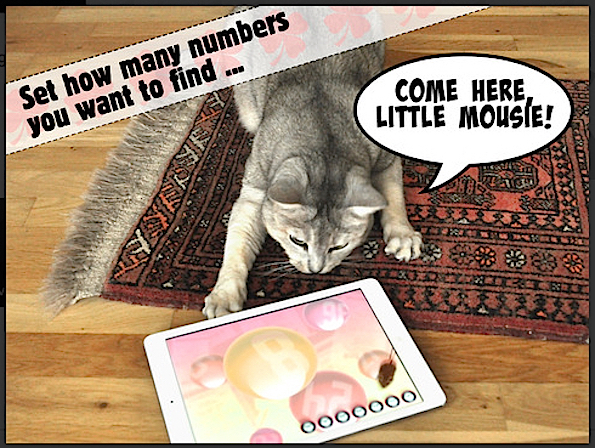 Each time your cat catches the mouse, the app selects a random number. Play those numbers and see what happens! Better still, use this System. Let your cat watch the video to see how it works.